Those who work in environments at risk of exposure to flammable and combustible gases may be the perfect recipients of an ATEX radio however the term itself may seem hard to comprehend. In short, ATEX is the term referring to the European Directives for controlling atmospheres prone to explosions. Due to fairly complex reasons concerning air and the presence of flammable gases there will always be the potential for disaster. However, loss of life and such other consequences can be averted when using the correct equipment. 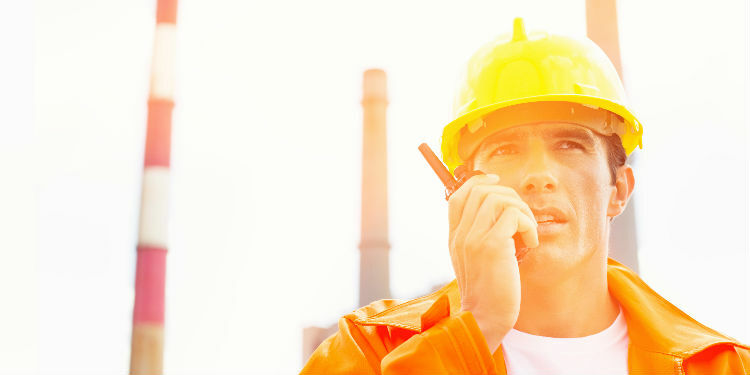 In this article we´ll be taking a look at the top 10 ATEX Two-Way Radios. We begin with our list of the top 10 ATEX two-way radios with the outstanding Entel HT953, a radio with the extraordinary ability to endure exposure for a submersion depth of 5 metres for up to an hour. The fact that this device is IP68-rated and has been widely tested will make it a sure fit for any business. Simply put the HT953 does not disappoint, being able to simultaneously guarantee fantastic performance as well as protection against potential hazards. Consideration has also been paid to the ability to conserve battery power as well be well adapted to rough and abrasive environments. Moving on to our second product we have the Entel HT952 ATEX PMR446. It has to be said that radios as durable as the HT952 are hard to come by. This radio is ideal for those working in fire and rescue services requiring tough and modern radios when on duty. With its hard exterior casing the HT952 can withstand extensive contact with dust and moisture in the environment. Additionally, the radio comes with the protection against intense noises. For this reason we highly recommend this radio to those operating in conditions prone to hazardous materials. Third on our list of the top 10 ATEX two-way radios we have the IIA approved HT822, the licensed two-way radio which combines so many unique qualities. For starters, this radio features 16 different channels placing it well above the standard radio when it comes to avoiding signal interference. We cannot fail to overstate this radio´s impressive battery in that it is a 7.4v 1800mAh Lithium Ion battery which can calculate the time until the end of battery life. This is then enhanced by the fact that the battery is able to charge up to 3x more rapidly than the average battery. This makes it far more reliable than most other radios. A licensed radio with an advanced list of properties, the Entel HT926 is a two way radio compatible with IIA T4 and with 4 watts RF power which renders it ideally suited for less than favourable conditions. It also boasts a total of 255 channels which makes for a superb choice of options when in use. Additionally a selection of features such as the choice of multiple ringtones, caller ID and a speed dial memory. Lastly the radio comes with a crystal-clear LCD display which provides the user with information on battery life and the signal strength. Users can feel at ease with two further features amongst its myriad of strengths; the Local Personal Attack Alarm and Panic buttons which can be activated at the appropriate moment. For those seeking a reliable two way radio with security and durability at the for front the Entel HT982S is the best option. To begin with this radio allows increased protection for the individual. Should your radio be stolen or lost the user may activate the stun function reduces the radio to non-functioning. In addition, the radio allows users to customise their ringtones and keep themselves as active as possible with its long charge. Requiring a license to use, the Entel Ht985 two way radio is user-friendly and simple with an available contact count of 400 users in its directory. However, the user can also use the radio to select individual users or groups specifically using the 2/5 tone selective calling function. This can then be enhanced by the ability to simultaneously interact with your contacts. Finally this two way radio is also optimised to allow for VOX hands free giving the user increased flexibility with their work on a day to day level. At seventh place on our list we have the Entel HT986 which has a shock and vibration resistant background, which is in itself resistant to dust as well as water. Additionally the radio can be submerged for over one hour up to a depth of 5 metres. This makes it perfect for unfavourable weather conditions such as in floods and in adverse weather where a radio would otherwise likely be damaged, or worse destroyed. At number eight on our list we have the Entel HT822S, a radio which delivers both quality and efficiency, guaranteeing it a place on this list. This two way radio is equipped to house at least 16 different channels, giving you the availability to choose the right one as well as minimising the chances of interference. Furthermore, for environments which require discretion or silence the HT822S comes with a Whisper Mode feature. A reliable feature from a reliable radio! The penultimate product on our list of the top 10 ATEX two-way radios is the Entel LCD ATEX radio. Operating on a UHF 400-470 frequency with the impressive Lithium Ion battery as well as 255 channels the Entel HT983 provides the user with a great two-way radio experience. The Lithium powered battery is programmed to alert the user to the end of battery life as well as monitor charge cycles, contributing to it´s position as a radio with the ability to protect the user. Adding to this, the LCD display can help the user to measure the amount of calls, verify the battery display and also strength of the signal being received. To complete our list of the top 10 ATEX two-way radios we have the Entel HT982, a two way radio that should not be easily dismissed. Graded as being tough and enduring, it can resist the force of shock, vibration, moisture and dust particles. With 16 channels to choose from you can be rest assured that there will be little chance of radio interference. The HT982 additionally comes with the ability to retain its battery up to three times as long as a standard radio, with it also being mentioned as being rechargeable. For these reasons as well as those listed below we simply cannot understate this marvellous radio!